Turning Composition toward Sovereignty – John Schilb argues that Rhetoric and Composition should turn its attention to the analysis of sovereign political action. Momma’s Memories and the New Equality – Vershawn Ashanti Young contends that we must recognize – and continually root out – racial microagressions in political and educational contexts. I’ll Google It! – Jill M. Parrott discuses current rhetorical scholarship on search engines and argues that rhetoricians should update the rhetorical canons to include online, collective invention. Making Rhetoric Visible – Heather Lettner-Rust provides a rhetorical-philosophical grounding for an interdisciplinary capstone writing seminar at a Southeastern, masters-granting institution by demonstrating the parallels between Isocratean pedagogy and the capstone curriculum. Cooking Codes – Elizabeth Fleitz identifies on- and off-line cookbooks as rhetorical artifacts that provide sites for interactivity and solidarity among generations of women. The Land Grant Way – Jim Dubinsky’s program review describes the initiative he runs, The Virginia Tech Center for Student Engagement and Community Partnerships (CSECP), and its connection to rhetoric and teaching, noting how service learning and classical rhetoric influenced his collaborative approach to developing the CSECP. 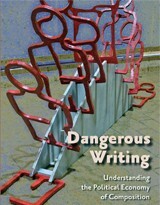 Dangerous Writing – In her review of Tony Scott’s 2009 book, Sheri Rysdam argues that Scott’s work helps readers understand the fast-capitalist model in higher education, which often marginalizes students, teachers, and writing program administrators. Publications like Present Tense only materialize through the work of many individuals, so the co-founders of the journal have a host of people to thank for their generosity during the compilation of this issue. First, we would like to thank Thomas Rickert, Jenny Bay, Michael Salvo, Patricia Sullivan, David Blakesley, Irwin Weiser, and John Schilb, who encouraged us and provided expert advice early on. Dr. Schilb inspired this project, and we hope the publication lives up to his charge. Thank you, too, to our reviewers who wrote keen, timely commentary on the journal’s submissions; the quality of our first seven articles is a testament to their investment in this project. We must also thank Linda Bergmann, Samantha Blackmon, Richard Johnson-Sheehan, Janice Lauer, and Tony Silva, who serve on our Advisory Board and who continue to support us in big and small ways. We are equally indebted to the open source technology that has saved us (or, our technical editors) many hours of programming. The production of the website would not have been possible without the collective work of many volunteers at a variety of open source organizations. We would like to thank the communities at WordPress and Creative Commons whose commitment to shared production enables so much creative work. Most importantly: thank you to our authors, who took a calculated risk in submitting their work to a new, untested publication. 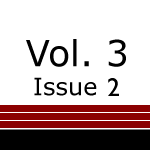 We hope this company of articles makes them proud to be a part of the first issue. We would lastly like to thank our readers for visiting our site. We encourage you to engage in discussion with our authors and other readers by commenting on the articles using the reader response boxes at the bottom of our pages. 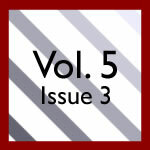 We hope you enjoy Present Tense Volume 1, Issue 1. Just a quick shout to say congratulations on such a timely, well-conceived journal! I’m really looking forward to future issues and the conversations that develop. All best, Adam. You’ve got a great first issue here. And I’m pretty excited about the open format–academic multimodality for all!